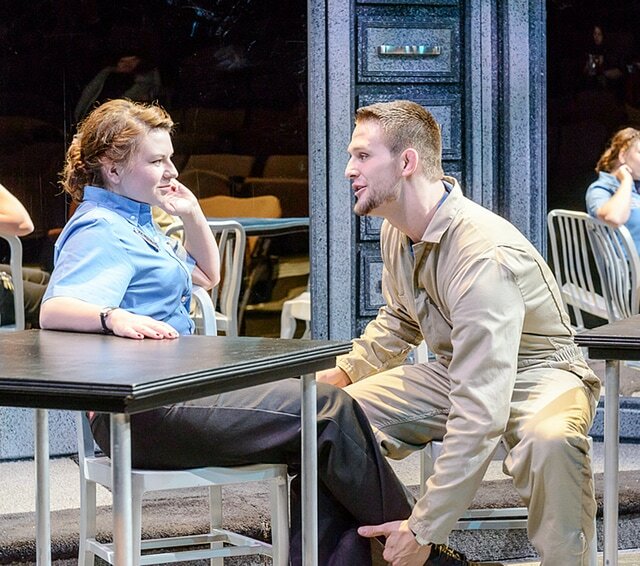 A former Wauseon resident has received a distinquished acheivement award for his performance January at the Region III Kennedy Center American College Theatre Festival. Blaine Conner, a senior at the University of Wisconsin-Parkside, and a member of the school’s Theatre Arts Department, received Outstanding Performance by an Actor in a Supporting Role in a production of “Reasons to be Pretty.” Another UW-Parkside student, Robin Feltman, was awarded Outstanding Performance by an Actress in a Supporting Role. The play was one of only seven out of 30 entries invited to be staged in front of an audience of more than 500 people at the festival. The event was hosted by the John F. Kennedy Center for the Performing Arts and the Hilton Worldwide National Awards Program. “For our students to be selected, and as two of only four national awards in our region, is a tremendous honor and a testament to their talent and training here at UW-Parkside,” said Jody Sekas, chair of the UW-Parkside theatre department.